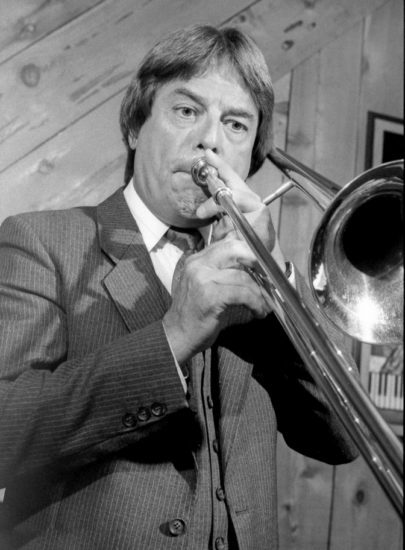 Bill Watrous, a jazz trombonist acclaimed for his clear, round tone and boundless virtuosity on his instrument, died on Tuesday, July 3, in Los Angeles after a short illness. He was 79 years old. Sometimes billed as “the world’s greatest trombonist,” Watrous was universally admired among jazz musicians for the beauty and fluency of his playing, as well as both his speed and lyricism. Over a 55-year career he developed a long and spectacular résumé that included work with such luminaries as Kai Winding, Maynard Ferguson, Quincy Jones, Ella Fitzgerald, and Chick Corea, as well as the jazz-rock band Ten Wheel Drive and his own Wildlife Refuge Orchestra. He also performed and recorded prolifically under his own name. Watrous was a busy studio musician as well, working on several television programs and as a session freelancer, especially after relocating from New York to Los Angeles in 1977. He taught for two decades as a professor at the University of Southern California’s Thornton School of Music, retiring in 2015, and co-wrote a widely used textbook, Trombonisms. William Russell Watrous III was born on June 8, 1939 in Middletown, Conn. His father, William Jr., was also a trombonist, introducing his son to the instrument early on. The younger Watrous developed a habit of sneaking away to play his father’s trombones. As a teenager, he began playing in trad jazz bands. In 1957, the 18-year-old joined the U.S. Navy, first attending the Navy School of Music in Virginia Beach, Va., then stationed with a Navy Band unit in San Diego. During that period, he studied with Herbie Nichols and learned to read music for the first time. Upon his discharge, Watrous moved to New York and quickly became a prolific jazz player. He made his debut with trumpeter/bandleader Billy Butterfield’s orchestra, then went on to play with the multiple-trombone ensemble led by Kai Winding in 1962. He also freelanced with Jones and Ferguson, and in 1965 became a member of the Merv Griffin Showband. Two years later, he added the CBS house orchestra to his portfolio, and made his recording debut under his own name, fronting a string section (as William Russell Watrous) on In Love Again. In 1977, Watrous relocated to California, where that same year he performed on Quincy Jones’ score for the TV miniseries Roots. He maintained an active career in Hollywood, working for film and TV studios as well as freelancing for jazz ensembles, reforming his big band (as Refuge West Band), and regularly issuing recordings of his own. By the 1990s, these had become more sporadic, although Watrous enjoyed a brief resurgence of popularity in the jazz world with the 1993 release of A Time for Love: Bill Watrous Plays the Music of Johnny Mandel. Watrous is survived by his wife, Maryanne, and son Jason. 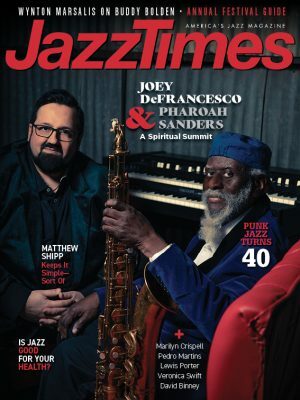 Read a 1997 JazzTimes short profile of Bill Watrous.